Let us know which classes you are interested in. 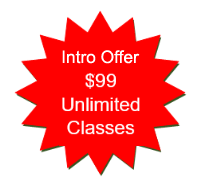 Check out the various classes we are currently offering. Schedule your free initial consultation with our studio. Reach out to our friendly office staff for more information.